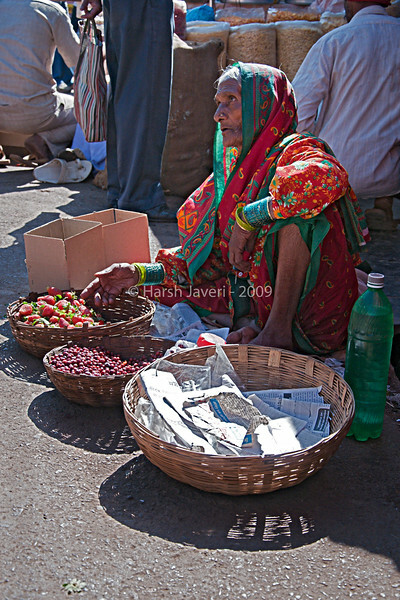 This old lady was selling strawberries & berries at the market in Mahabaleshwar. All of the "Lady Vendor" shots are very nice, but I think that this is my favorite. It is an excellent environmental portrait. Good job! Perfect street shot. Just love everything about this shot ! I love the colors of the clothes.